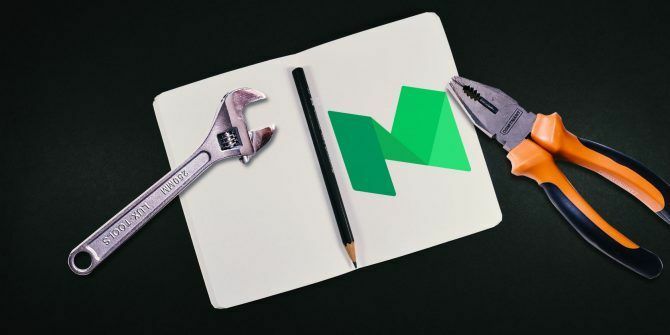 Medium is not just a platform for bloggers Medium: An Alternative Blogging Platform From The Founders Of Twitter Medium: An Alternative Blogging Platform From The Founders Of Twitter Twitter's co-founders Evan Williams and Biz Stone launched their own blogging platform, Medium, about a year ago. 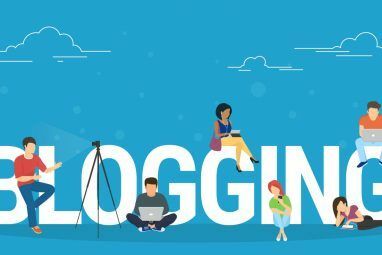 The founders say that the aim is to "re-imagine" publishing, by allowing users to choose the level of... Read More to express themselves or companies to market their brand. It is also a place to read interesting, informative, and even humorous content. The trick is knowing how to find that content. Medium offers a variety of features that make it easy to get the content you really want. Plus, if you like, you can enjoy an interactive experience at the same time. When you sign up for a free account with Medium, you can immediately choose Tags, which are basically categories. With everything from culture to sports to technology topics, you are sure to find more than one subject of interest. You only have to pick a few when you sign up and you can add more or remove some later. To edit the Tags you follow at any time, click your Profile in the top navigation and select Customize your interests. Make your adjustments and you are set to see topics that interest you along with a daily digest of new and top stories for those Tags. In addition to following Tags, you can follow People. This is a great way to check out new stories that specific writers publish. Similar to Twitter, you can read a short biography, see how many followers each person has, and view others that they are following. To follow a person, just click the Follow button by their name on the main page, on the article itself, or from the writer’s profile. Another way to stay on top of your interests is by following Publications. Stay up to date on world news with the Washington Post, get celebrity and entertainment stories from the Insider, or see what’s hot in music from MTV News. You can search for a specific publication or see recommendations in the Publications section of your profile. Just like with People, click the Follow button for those Publications you want to add to your list. Medium offers a couple of ways for you to interact with writers and the community. Like with most sites these days, you can share and comment on articles. The sharing options include a Recommend button for your Medium friends along with links to share the post on Twitter or Facebook. If you would like to comment on a piece, click the Respond button. Add your comment and then see what others have to say. If you would like to respond to another person’s response, just click on it. You will then land on a page where you can add your comment, again, with the Respond button. One of the coolest features of Medium is the Highlight option. While you are reading an article, you can select the text and a small menu will appear. Click the highlighter and that passage will be saved for you to revisit later. You also have options in the menu to tweet the highlighted text or send the writer a note regarding it. To access your highlighted passages, click your Profile from the top navigation and select Profile from the list. Then click the Highlights tab. If you see an article that interests you, but do not have the time to read it, click the Bookmark button. You can then check it out when you have more time by selecting Bookmarks from the top navigation or the button on your mobile app. You can also select the option by clicking your Profile button. Speaking of mobile, Medium offers free apps for both Android and iOS devices. Keeping up with those you follow and articles you bookmark when you are on the go is easy. The app is just as easy to navigate as the website and provides the same interaction and following options. In addition to the website content, you can check out a recently added feature for mobile called Series. This interesting concept allows Medium writers to tell their stories one page at a time. For example, when you tap to open a Series, you will move through it with simple swipes. Think of it like a book where you turn the page to keep reading. A Series can be added to over time, so you can tap the arrow at the top of it to receive notifications of updates. A nice feature of Series is that you can pick up where you left off at any time. Those that you opened will appear at the top of the screen and you can continue reading with a tap. Then, just swipe down to return to the main Series page. Choosing the Tags that interest you the most is the ideal way to get the types of articles you want. But you do have additional options. For instance, the top menu on Medium offers topics that you might also enjoy. Check out popular articles or those picked by the Medium staff. Or click on topics like politics, work, or technology to see featured and recent articles. If you are looking for something very specific, Medium’s search feature is handy. Just click the magnifying glass, and as you start to type in your keywords, suggestions will appear for Tags, People, and Publications. You can select one of those or continue on to receive results from the search. If you have trouble fishing through the articles for those that interest you on Medium, hopefully these tips will help you. You can easily filter out what you don’t want so that you can concentrate on what you do want. And, when you find a person or publication that you like, be sure to follow them to stay in the loop. Do you prefer a different website over Medium? Or do you love discovering and sharing content you find 7 Awesome Tools You Should Definitely Try If You Love Medium 7 Awesome Tools You Should Definitely Try If You Love Medium Some third-party tools are now appearing to make your Medium experience a good one for both readers and writers. Here are a few of the best. Read More on Medium? Let us know what you think in the comments below!